April 12, 2019 April 12, 2019 Posted in Current Event, Exhibitions and Events, Face to Face, Uncategorized, Up and coming, Whats New ? What a wonderful celebration evening for the opening of the face to face exhibition and launch of the publication. Our thanks to all who came along to support the project and make it such a warm, positive and vibrant evening. We are extremely excited to be able to announce that face to face is now going on tour ! ArtistsWorkhouse Launched the year long project ‘face to face’ in the form of an exhibition and publication in April 2019. 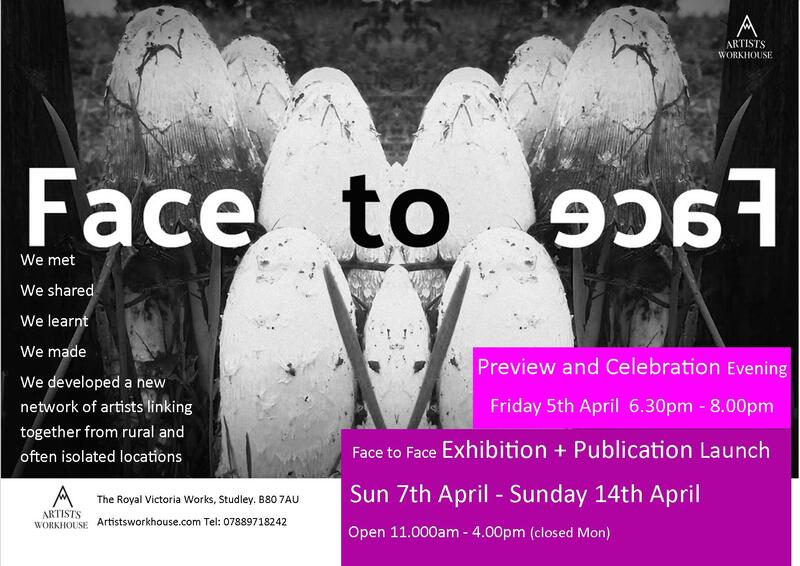 After the launch exhibition in the same space that the project took place at ArtistsWorkhouse, ‘face to face’ will go on tour. The opportunity to show the works in different spaces has added an additional dimension to the project that will also be documented. Artistsworkhouse is very grateful for the support that General Office in Stourbridge and Canwood Gallery in Hereford have given to enable the continuation of the project. Canwood Gallery, Hereford, 4th June – 7th July, celebration evening Friday 7th June. http://www.canwoodgallery.com/. At Canwood you will also be able to meet artists who took part in the project as they are working on site, view and discuss additional materials and get a real insight into the process of the project. We look forward to experiencing the development of the project at both of these individual spaces.